Purpose: In this tutorial, you will learn how to set up and execute exciting calculations for dipole correction on the electrostatic potential of two-dimensional slabs containing dipole in the vertical direction. An explicit example is the half-hydrogenated and half-fluorinated graphene monolayer (HCCF), in which the hydrogen atoms bond with carbon atoms on one side and fluorine atoms on the other side. It is also shown how to calculate and visualize the electrostatic potential, with and without the above dipole correction. where $m$ is a surface dipole moment and $z_m$ is the thickness of the box in the z direction. The correction introduces a jump in electrostatic potential which should, of course, be placed within the vacuum region of the supercell. 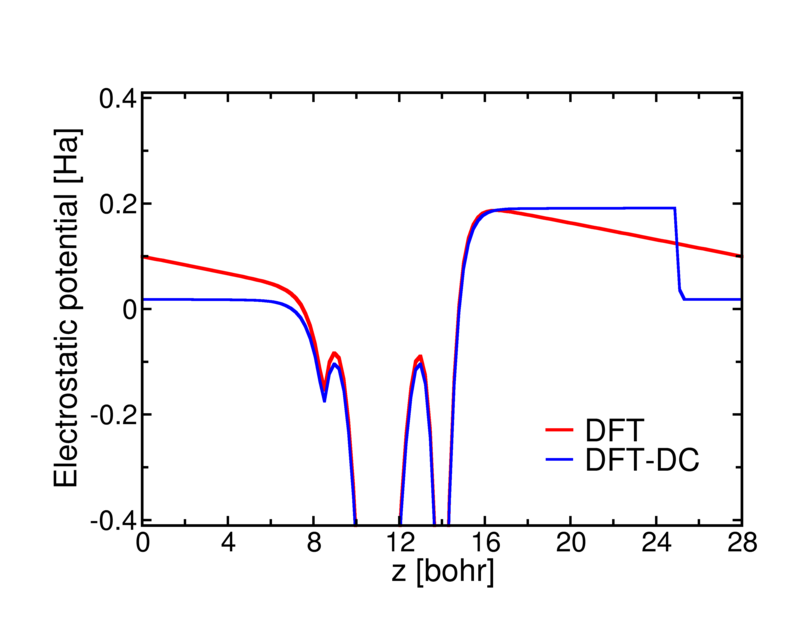 In this figure, you can see how the electrostatic potential has been corrected (blue line). It is flat on both sides and has a jump. The platform in the vacuum layer refers to the vacuum energy level. 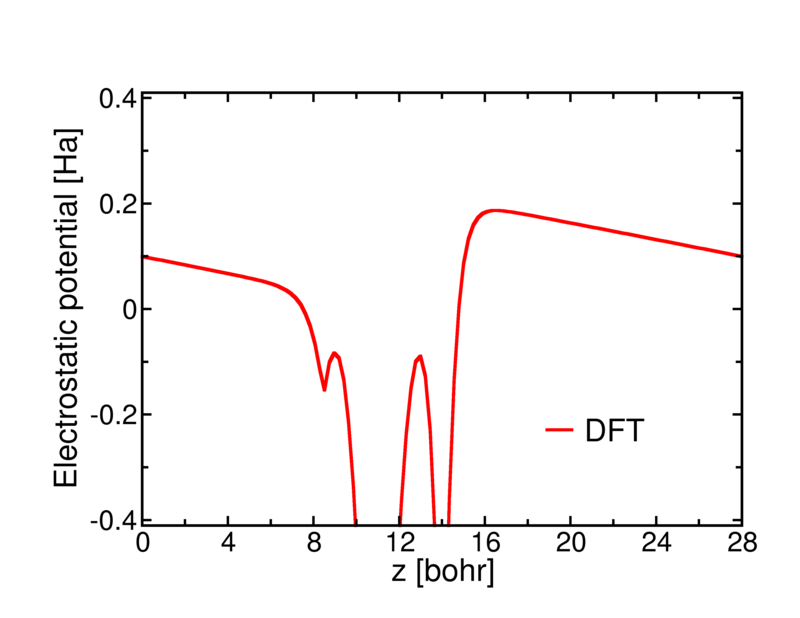 By comparing its position with those of the corresponding valence band maximum (VBM) and conduction band minimum (CBM), you can calculate the ionization energy (IE) and electron affinity (EA), accordingly. Please note that here, due to the existence of a dipole, two platforms appear in the plane-averaged electrostatic potential. It means that the vacuum energy level is not the same at the two sides of HCCF, and, consequently, the IE and EA either.